The biometric identification market for automotive is projected to grow at a CAGR of 25.61% from 2017 to 2022, to reach USD 21.72 billion by 2022. Increasing demand for vehicle security and comfort is projected to fuel the demand for advanced technologies such as iris or facial recognition system. On the other hand, the major factors hindering the growth of the biometric identification market in vehicles are the high cost of system or module and the possibility of potential failure of electronic components used for biometric systems. The market for optical sensors is projected to grow at the highest CAGR during the forecast period from 2017 to 2022. The optical sensors are lightweight and consume less power. As these components are used in the authentication system/modules such as fingerprint recognition, signature/keystroke recognition, and iris recognition, the increase in demand for biometric systems would directly influence the demand for components. The biometric vehicle access system is projected to be the largest segment of the biometric identification market for automotive, by application. The growth of this segment can be attributed to increasing focus on comfort, safety, and vehicle security in premium cars in North America and Europe. The manufacturers are now offering advanced features such as fingerprint authentication in high-end vehicles. With the increase in demand for luxury vehicles in Asia-Oceania, the market for biometric identification is expected to grow in the region in the near future. Asia-Oceania and North America are estimated to dominate the global biometric identification market for automotive. While Asia-Oceania is estimated to be the fastest growing market, North America is estimated to be the largest market during the forecast period. In Asia-Oceania, the growth of automotive biometric solutions has been observed owing to rapid technological changes and increasing demand for luxury vehicles, which have boosted the application of biometric and the overall biometric identification market. On the other hand, the market growth in North America can be attributed to advanced state-of-the-art technology and increasing demand for premium cars, which ultimately increases the application of biometric in the automotive industry. The key companies profiled in the study are Hitachi, Ltd. (Japan), FUJITSU (Japan), Safran (France), Synaptics Incorporated (U.S.), Nuance Communications, Inc. (U.S), Methode Electronics (U.S), HID Global Corporation/ASSA ABLOY AB (U.S.), VOXX International Corp. (U.S.), Fingerprint Cards AB (Sweden), Voicebox Technologies Corporation (U.S.), Robert Bosch GmbH (Germany), Continental AG (Germany), and Valeo (France). The global biometric identification market for automotive is segmented by the identification process (fingerprint, voice, iris, facial, gesture, and multimodal recognition system), application (biometric vehicle access system, engine start-stop system, driver fatigue & drowsiness monitoring system, memory steering, memory seats, and infotainment system), and electric vehicle type (BEV, HEV, and PHEV). The market is also segmented by characteristics, components and sensor type, namely, metal oxide semiconductor (CMOS)/image sensors, optical/fingerprint & palm sensors, iris/retinal recognition sensors, microphone/voice sensors, signature/keystrokes sensors, Processing units, embedded microcomputers, micro chipsets, optical flexible electronic (vein detection). The biometric market for automotive is also segmented by biometric wearables (watches, eyeglasses, and headsets), fleet management services (electronic logging devices and driver monitoring system) and autonomous & semi-autonomous vehicle (vehicle access and in-vehicle features). Market Size: The report gives in-depth market sizing and forecast up to five years with third level segmentation. 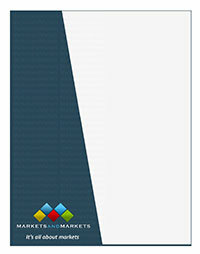 Market Development: The report provides comprehensive information about lucrative emerging markets. The report analyzes the markets for automotive biometric identification across regions. Product Development/Innovation: The report gives detailed insights into R&D activities, upcoming technologies, and new product launches in the global biometric identification market for automotive. Market Diversification: The report offers detailed information about untapped markets, investments, new products, and recent developments in the global biometric identification market for automotive. Micro Quadrants: The report provides detailed information and in depth analysis of key players based on their business strategy excellence and strength of product portfolio. Supplier analysis: The report gives a brief analysis of Who Supplies Whom data for key automotive biometric manufacturers and their clients (OEM).